I am always up for a challenge artistically! One of my favorite things I love to do is create new pieces and customize the color palette so that it coordinates with the entire room. 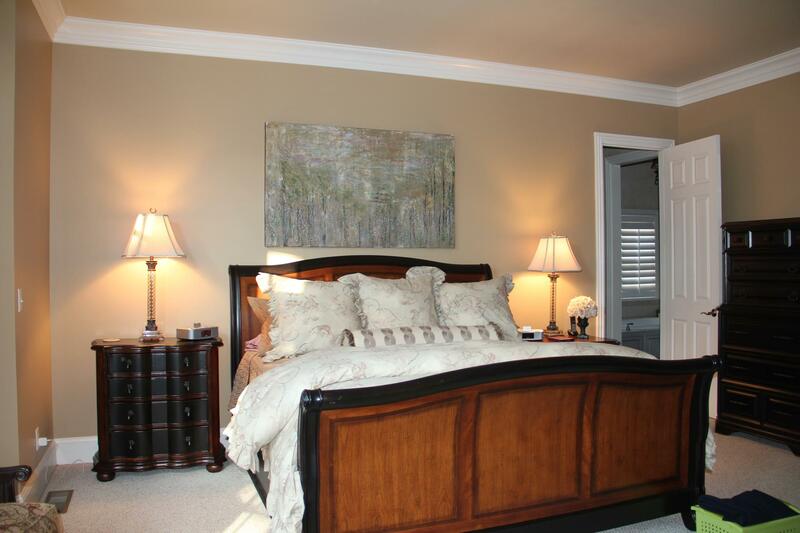 During the complimentary art consultation with this client we discussed what style of art, colors, and size. 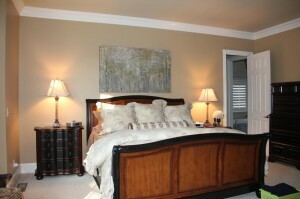 The client knew that she wanted the piece to be soothing in their master bedroom and wanted it to have a calming feel. The client was open to the idea of an abstract landscape. Abstract art can really pop against traditional furnishings. The colors were pulled out of their new bedding material. The piece is meant to coordinate but not be too matchy! Call me for an art consult if you have a wall space you can’t find what you are looking for.